In an article about No 6 Bridge Street the attached photo ( image No 1 ) was shown and labelled as “Land Army”. However, thanks to the replies of Terri Tebbutt and Robyn H. Hand, the writer, in true CAWB fashion, has re-investigated the image and has found (perhaps) a more accurate account of the uniformed girls in the Square. It appears that in September,1940, a Windsor Squadron of the Women’s Air Training Corps was formed as a result of a visit by Miss Gwen Stark, Deputy State Commandant of the Women’s Flying Club. 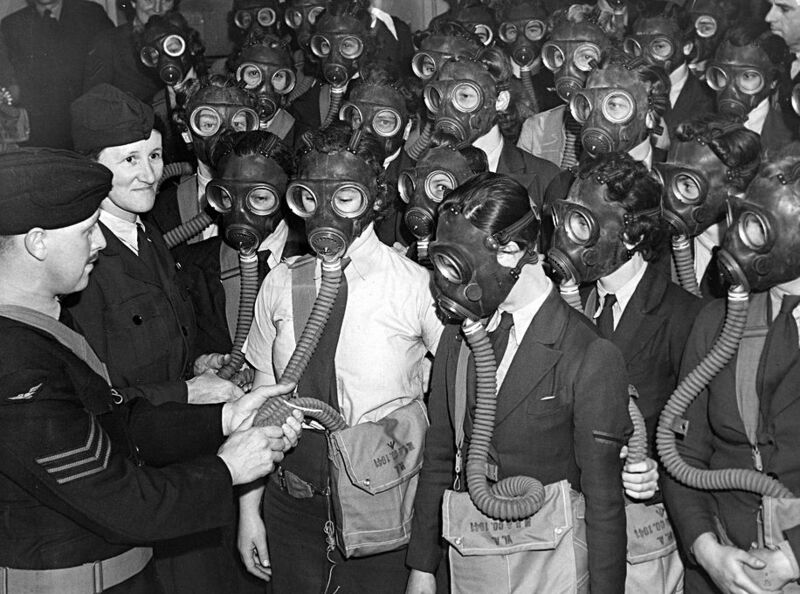 Squadrons were only to be formed in centres adjacent to military aerodromes, where the young women could be trained by R.A.A.F. officers. There were already some 800 girls in training in Melbourne where the Headquarters of the W.A.T.C. was to be found. At this time the girls’ uniform consisted of a grey dustcoat, a navy blue beret and a badge. The girls were expected to work hard in training and to not just give of their “spare” time but much of their “good” time as well. They were enrolled on a month’s probation and had to undergo a preliminary training in Air Force Drill, Gas and Air Raid Precautions, Physical Culture and general aircraft lectures. It was then hoped to form 4 sections – Transport, Signallers, Canteen and Clerks. For the next month the Windsor Corps was to be governed by a committee of five members elected by the girls – Misses J. Armstrong, F.J.( Jean ) Campbell, L.( Lorna ) Campbell, G, Collingridge and N. Leeson. ( I believe Miss J. Armstrong to be Joyce Armstrong, sister of Roma Armstrong). 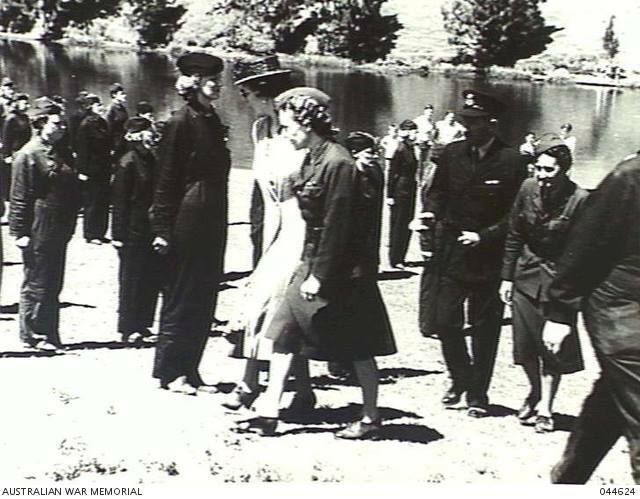 Miss Stark arranged a 3 day camp to be held at Windsor over the 8–Hour–Day-Weekend when approximately 300 girls would be stationed in the town, giving the Windsor sections an opportunity for first-hand training with the Sydney squadrons. The Windsor Squadron was now on an established footing and the girls mentioned were commended for the enthusiasm which had brought the organisation into being in the Windsor district. And so , in October, 1940, Windsor was “OCCUPIED” by about 300 members of the Australian Women’s Flying Club, where, on a site adjoining the River, they carried out a 3 day training camp. The girls impressed the locals in their “natty air-force blue dress uniforms” and “their model manner in which they comported themselves throughout the duration of the camp”. The Windsor Branch had been in existence only a short time and was represented by 13 local girls who took part in the camp training under the leadership of Miss F.J. Campbell, of Windsor, who, as one of the prime movers in the Windsor District Squadron had spared no pains in the preparations to make this unit one worthy of the district. The Windsor district representatives showed themselves to be of vital service to their country, perhaps, at a time when that service would be most needed.....Japan had not yet entered the War in the Pacific. Windsor was surprised when the Camp was visited and inspected by two very prominent women – LADY WAKEHURST, the wife of the Governor of NSW, and NANCY BIRD WALTERS, Australia’s famous aviator. They showed a keen interest in the operations of the various units, closely inspecting the ambulance hut and open-air cooking in progress and giving absorbed attention to the driving of heavy lorries by the girls, both forward and in reverse, over pegged courses. 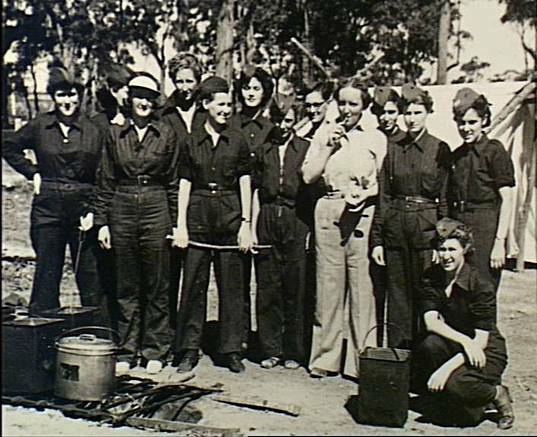 There was a general inspection parade by the girls, attired in boiler suits which comprised their working dress in training. Lady Wakehurst was full of praise for those girls from outlying parts who travelled long distances by bicycle for their training sessions. When the main body of girls arrived at the station, they marched to their various billets – aircraft and aero engine squadrons at the Public School Hall, transport and ambulance at the School of Arts, signallers at the Church of England Parish Hall, cooks and canteen squadron on the River bank. As Roma stated that her sister, Joyce, drove trucks, I feel that the photo taken in Thompson Square could be of the transport and ambulance girls. However, that would be a small number out of 300 girls. 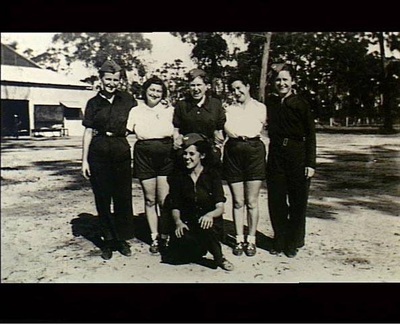 So, perhaps this photo is just of the Windsor girls in the Corps? More information is needed but we are getting close to finding the true story of this image. Note, the badges in their berets appear to have wings whereas the Land Army badges were more oval or round. The girls had a big Camp Fire on the first night and after dinner the harmony of part songs floated over the river. On the Sunday there was a church parade and then transport tests ( calling for skilful driving of both motor car and 3 ton Leyland truck). wireless buzzers and semaphore signalling classes, drill, mess duties and camp cleaning. In the afternoon there was a 5 mile march with the girls swinging along to the roll of three drummers. In 1941 there was a call for “comforts” for “our sisters of the Women’s Auxiliary Air Force in England” and the committee members were Miss F. Jean Campbell, 458 George Street, Windsor, Miss Nancy Leeson, Riverstone and Miss Joyce Armstrong, Bridge Street, Windsor. “Comforts” were 1) for sick quarters – bed socks, bed jackets, knitted wool blankets 2) general wear – pullovers, wide scarves, gloves, mittens. So perhaps after this further investigation into the image of the uniformed girls in Thompson Square we may be a little closer to unravelling it’s story and in the process have shone a light on the activities of the brave young women of Windsor who were prepared to stand and contribute their all to the service of their town and their country. 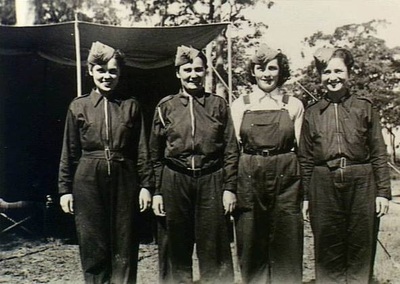 * The Australians Women’s Flying Club was the forerunner of both the Women’s Air Training Corps and the W.A.A.F. She was the wife of the Governor of NSW, Lord Wakehurst, who had been appointed to the Governorship in 1936. The family arrived from England in 1937 with three sons and one daughter. WW 2 entailed extra duties of them both. In June Lady Wakehurst convened a conference which formed the Women’s Australian National Services of which she became president and commander-in- chief. She was patron of the Australian Women’s Land Army and was active in the Australian Red Cross and Girl Guides. She was tall, brunette and brown eyed and won praise for her “competence, dignity and charm”. Nancy was born at Kew, NSW in 1915. As a child she was always fascinated with flying and in 1933, at the age of 18, she joined Sir Charles Kingsford Smith’s Flying School at Mascot, gaining her pilot’s license at 19. 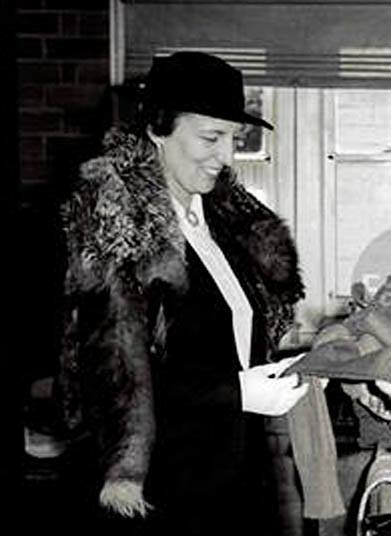 She bought a de Havilland Gypsy Moth and with her friend Peggy McKillop she went on Australia’s first Ladies Flying Tour – a barnstorming tour of country towns and fairs. She then helped set up a flying medical service in NSW. 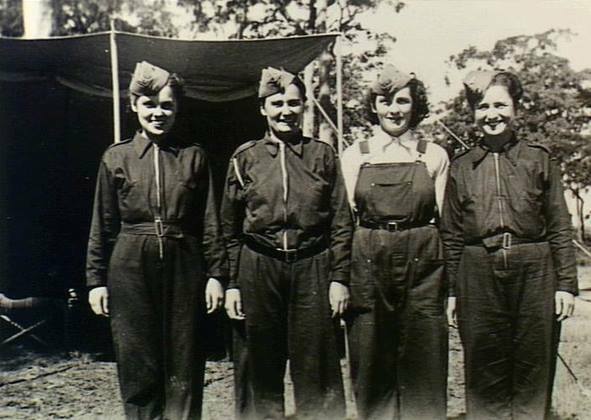 Soon after WW2 broke out she began training women in skills needed to back up the men flying in the Royal Australian Air Force. 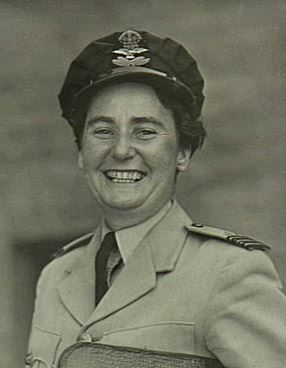 Evidently, women were not allowed to fly aircraft in Australia during the War, so she became Commandant of the Australian Women’s Air Training Corps. 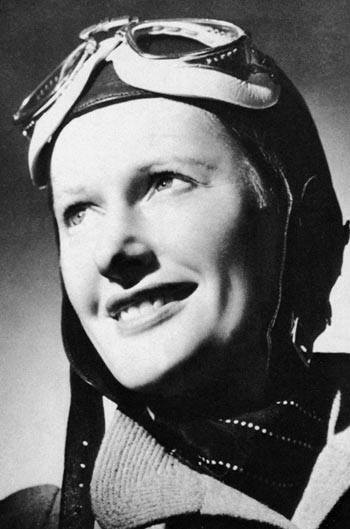 Nancy was a pioneer Australian aviator and was founder and patron of the Australian Women’s Pilots Association. * GWEN STARK - 1910-1994 O.B.E. Amy Gwendoline STARK was born in 1910 in Waverley NSW . She obtained her pilot’s license shortly before WW 2 and was one of the first women appointed to a position in the Women’s Auxiliary Air Force. 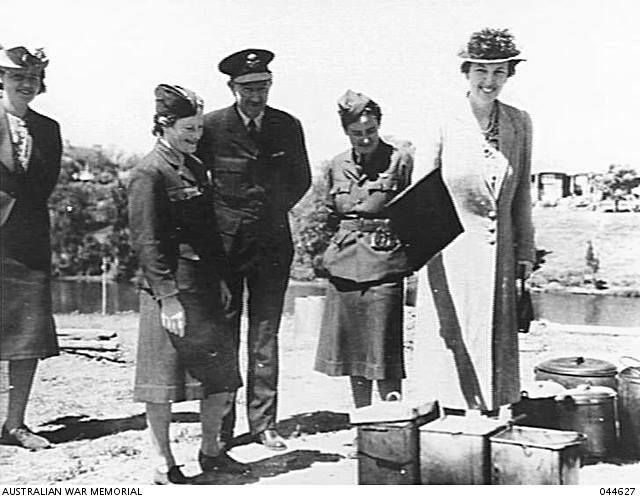 She was active in the Australian Women’s Flying Club which became the NSW branch of the Women’s Air Training Corps and was it’s commandant in 1940. After the War she went to Berlin and worked with the Berlin Air Lift. In 1964 she became the Federal President of the Australian Women’s Pilot’s Association and was appointed to the Order of the British Empire in 1968. She played many roles in the Windsor Community. In 1927 she passed her Leaving Exam and entered Hurlstone College to prepare for her profession as a teacher. She was talented in music and art, being choir mistress of St Matthew’s C/E Choir, which she herself had founded and trained. She was a competent violinist and performed with the choir in this role. She won prizes for oil and watercolour paintings in the School of Arts Carnival and Fete in 1926. In 1941 she resigned her volunteer position as founding librarian for the School of Arts. All lamented her resignation as she was greatly respected for her diligence, dedication, organisation and reliability. Her resignation was due to her being Squadron Commander of the Women’s Air Training Corps and that she might be called away at a moment’s notice. Her roll in this Corps is outlined above. I wonder if she is the lady who stands in front of the girls in uniform in the Square? Jean married William Welsh, of Broken Hill, in 1944 and she moved away to make her home in that town. However she returned to Windsor and in 1962 married Raymond Wright of Windsor and it was here that she passed away in 2001. These women were all individuals who followed their dreams and put their skills where they could best be utilised for the good of our country in the deeply troubled times of WW 2. We salute you, one and all.